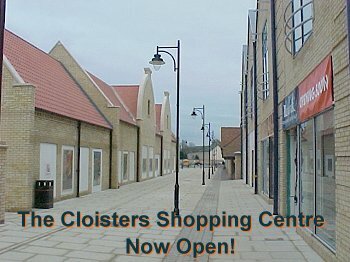 The Cloisters Shopping Centre Now Open! 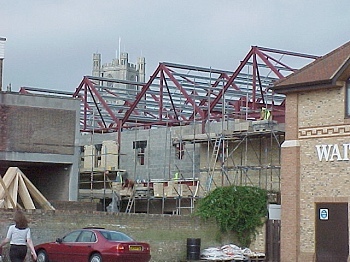 The Cloisters Shopping Centre is now Open as is the new Ely Library also within this complex. 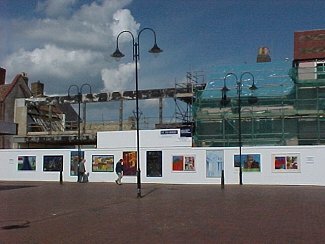 This area which was formerly home to the old Thursday cattlemarket. 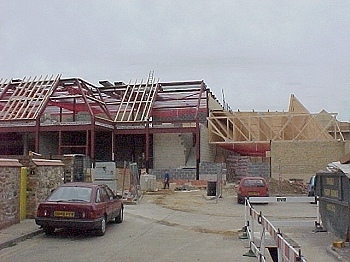 "The Cloisters" Shopping Centre as it is in May 2000 - Iceland and Wilkinsons stores are now open. 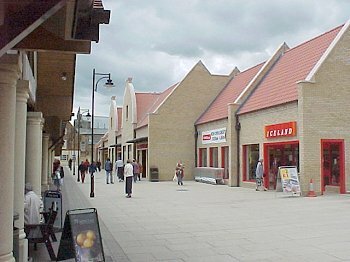 "The Cloisters" Shopping Centre is now open, although most of the stores are not yet open. Peacocks is now open, and Iceland should not be far behind. 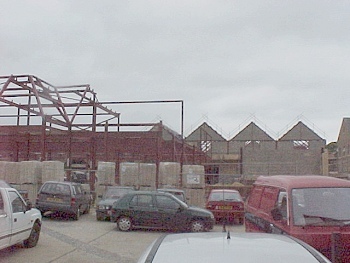 Shows continued development of the second main building on the site. 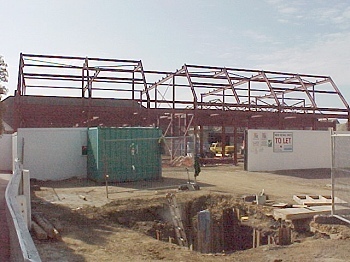 Shows progress to brickwork and second unit on the left. 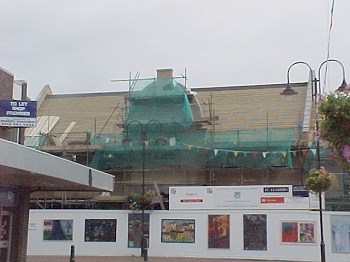 Taken from the market place - shows the decorative brickwork feature nearing completion. 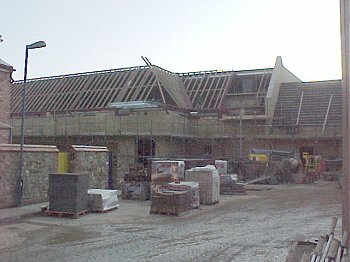 Shows the progress made to the new building in the foreground, plus you can see that the building in the background has now been roofed. 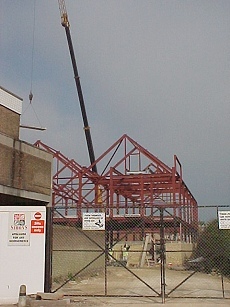 The brickwork on the new building in the background is progressing nicely. 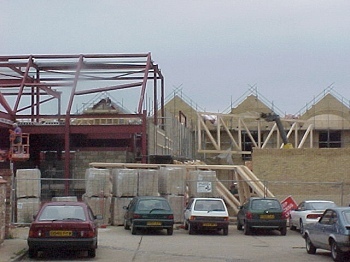 Another frame has now been erected next to Waitorse Supermarket. And there is a large hole in the ground to the fore! 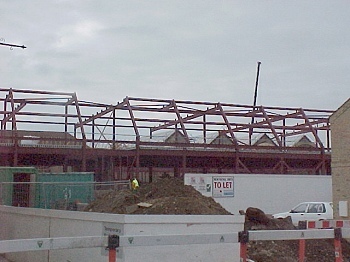 Shows the progress of the brickwork to the main frame. 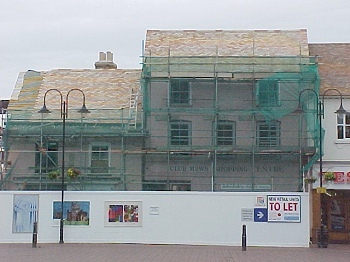 Re-roofing or the old Club Hotel building is well under way. 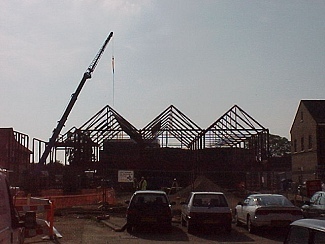 They have now started on the brickwork. And the first floor concrete joists are in place. 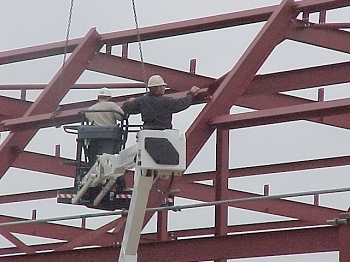 Yes - it's a frame up guv! No doubt about that. 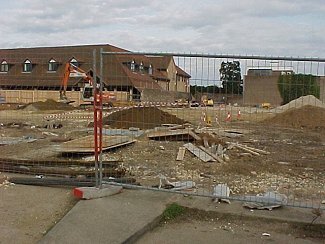 Looking across the site from Newnham Street not much has changed although foundations (not visible in the pic) have been laid all over the site. 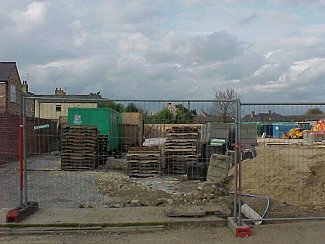 Again looking across the site from Newnham Street not much has changed compared to the earlier pic below. 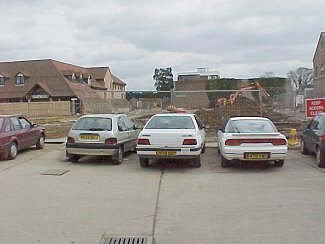 Looking across the site from Newnham Street. 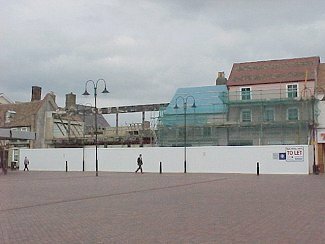 View of the development from the Market Place before it was brightened up by the kids pics.